Select Restoration is an excellent resource to have if siding damage occurred at your property after a recent storm and you need siding repairs here in Macomb MI. Our siding installation team has the unique capacity to find the perfect vinyl siding colors for you due to our broad inventory. In addition, our siding options are from manufacturers that have an exceptional track record of quality and dependable house siding. 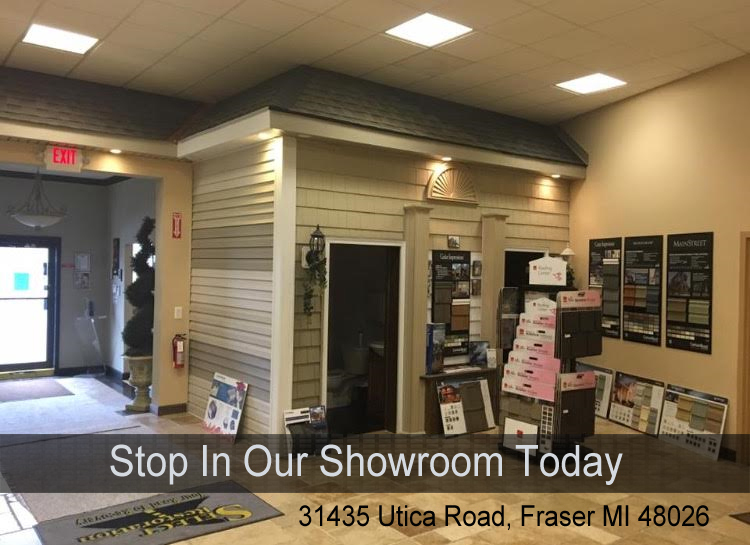 For more information on our incredible choices of siding be sure to give us a call at 586-791-3900 | Stop in our showroom today located at 31435 Utica Road Fraser MI 48026. Select Restoration is a licensed Michigan Restoration Contractor. We specialize in property damage insurance claims restoration for storm damage homes and business here in Michigan. With more than 25 years of in business experience, we’ve earned our reputation for excellent work, great customer service and getting customers paid what they deserve from the insurance companies. 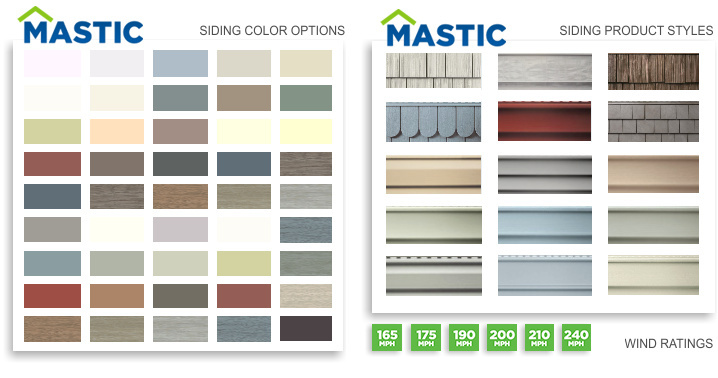 For generations, low-maintenance vinyl siding from Mastic has been the number-one choice among builders, remodelers and homeowners here in Macomb MI because of its many colors and options. Choose the siding style that fits your personal style, or create your own Designed Exterior here in Macomb County. Professionals and homeowners prefer low-maintenance house siding made of vinyl or polymer over wood, fiber cement, brick or stucco options. And it’s easy to see why Mastic is a favorite choice for Michigan. Mastic products feature the beauty of freshly painted or stained wood. Whether you choose lap siding or vertical siding, you get a beautiful exterior product that’s build to last. Every home siding style is beautiful, durable and easy to maintain — which means you’ll spend more time enjoying your home, and less time working on it. For more information on our incredible choice of vinyl siding in be sure to give our vinyl siding company a call at 1-844-363-7436 or stop in our showroom today at 31435 Utica Road Fraser MI 48026.